Alfândega Porto Congress Centre was elected as Best Meetings & Conference Centre in Europe 2017 by Business Destinations magazine. The award was presented at the Portuguese stand in London during WTM - World Travel Market. Alfândega receives this distinction for the third year in a row. The prize was awarded by a panel of judges who included three tourism and business experts along with the magazine editors, the venue said in a statement. Among the choice criteria were the "quality and variety of services; value for money; online presence, website and other applications; sustainability practices and environmental awareness; customer service and business vision," explained Alfândega, adding that "this international award consolidates the position of this congress centre in the country and in the world, recognising all our work, effort and dedication, and contributes significantly to the development of business tourism in the region." 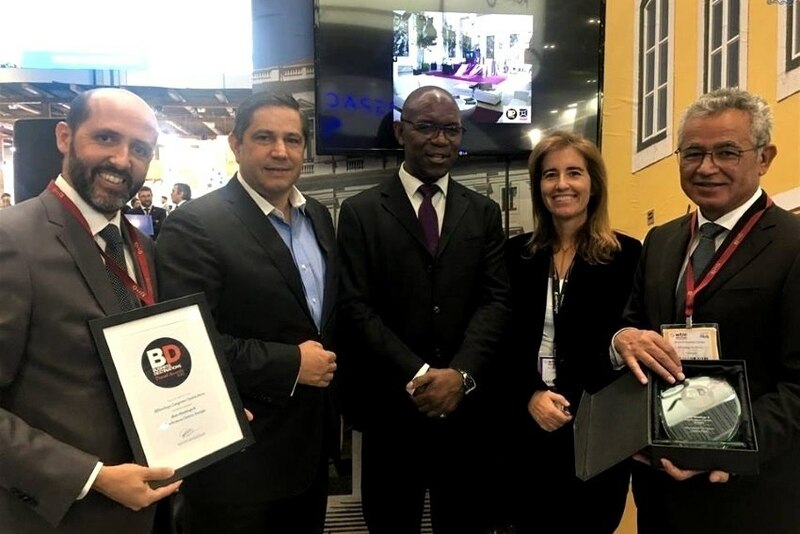 The award ceremony was attended by the Secretary of State for Tourism, Ana Mendes Godinho; the Portuguese Ambassador in London, Manuel Lobo Antunes, and from Business Destinations, Terrence Johnson. The President of the AMTC Board of Directors, Mário Ferreira, received the award.